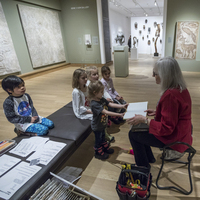 Families can look at art together and engage in hands-on activities inspired by art from cultures around the world. For children ages 2-5 and their adult companions. Space for this free workshop is limited. To register, click here by April 1. For more information, call 603-646-1469.